Image: Jayne Fincher/Getty Images, Tim Graham/Getty Images. Design: Allison Kahler/StyleCaster. Like her daughter-in-law, Duchess Meghan (née Markle) of Sussex, Princess Diana was known to break dozens of royal traditions, especially when it came to her beauty and fashion choices. It might be why she was nicknamed the People's Princess and why her son, Prince Harry, found a wife with a similar attitude toward traditions. From her affinity for blue eyeliner to her habit of wearing colorful nail polish, Princess Diana marched to the beat of her own drum — and didn't care who disapproved. 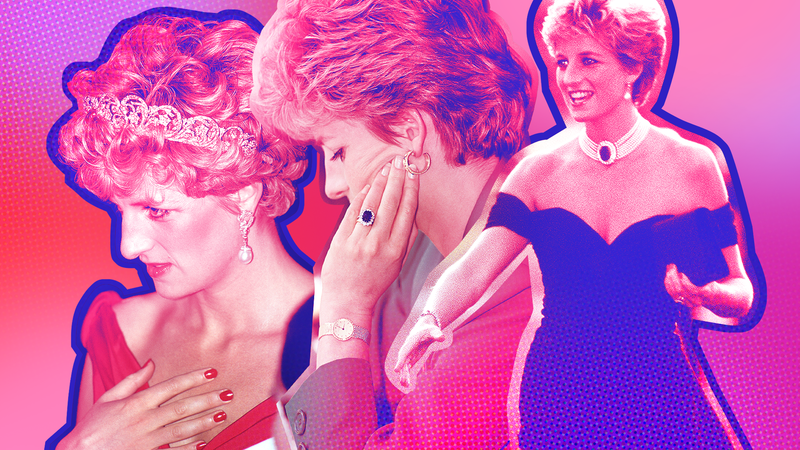 Ahead, we've collected every royal beauty and fashion tradition Princess Di has ever broken. Find out the waves she made in Kensington Palace. Black is usually reserved for funerals or memorials in the royal family. Very rarely would people see a royal wear black — let alone in the daytime. Princess Diana was known to break tradition and rock the color both day and night, as seen here at a hospital visit in Moscow. Royals are known for their natural-looking makeup, so when Princess Diana came in with her bold blue eyeliner, it was a refreshing break from tradition. Though her blue eyeliner phase was only a couple of years, Princess Diana definitely made a statement by rocking the color on many formal occasions, including on an official visit to France, seen here. It should be known by now that one of Queen Elizabeth II's No. 1 rules is royals must wear natural-looking nail polishes, which is why many of the women stick to nudelike colors, such as pale pinks and beiges. Not Princess Diana, however. The royal was known to break tradition by wearing colored nail polish (her favorite was red) to many royal events. In the royal family, it's tradition for engagement rings to be custom-made. Princess Diana went against tradition when she got engaged at 19 in 1981 by choosing hers out of a Garrard jewelry collection catalog. The ring was so stunning that her daughter-in-law, Duchess Catherine of Cambridge (commonly known as Kate Middleton), wears it now that she's married. Princess Diana's ring wasn't the only way her engagement broke royal tradition. 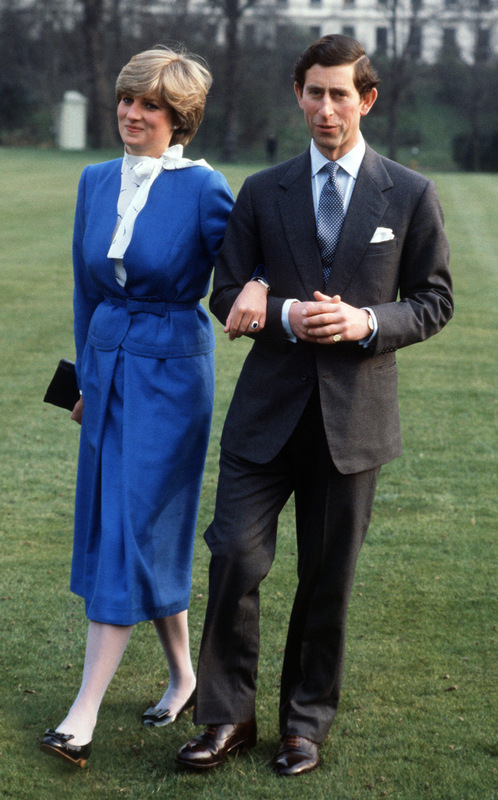 According to Fame10, Princess Diana bought the azure blue dress she wore to her engagement announcement off the rack from Harrods, a department store in the U.K. 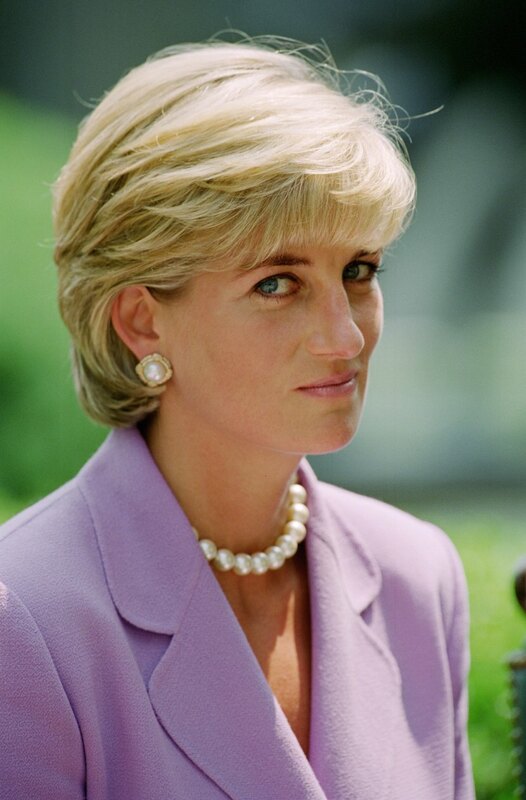 Reportedly, Princess Diana tried to find a dress at Bellville Sassoon, a high-end boutique, but was turned away by a sales assistant who didn't recognize her. After the mistake was recognized, however, Diana was welcomed back to the store and had a long partnership with the brand. 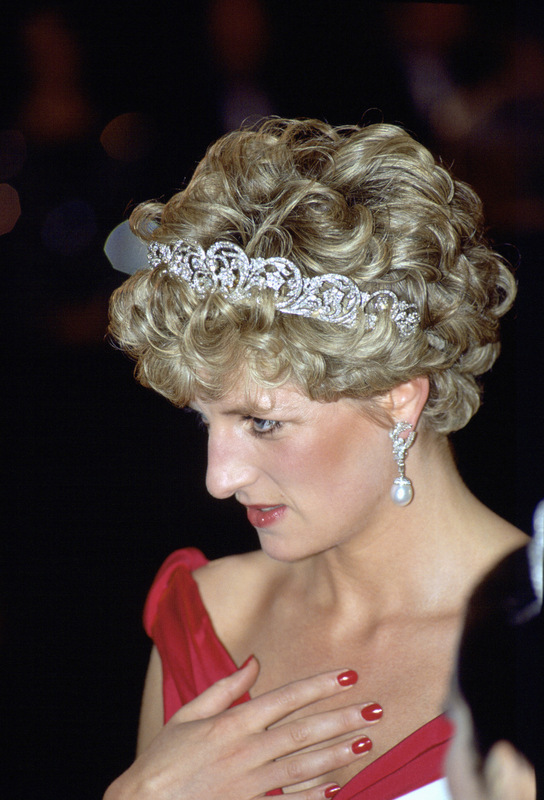 Before Princess Diana, it was common for royals to wear understated, subtle jewelry — aside from family heirlooms and tiaras — to avoid looking flashy. 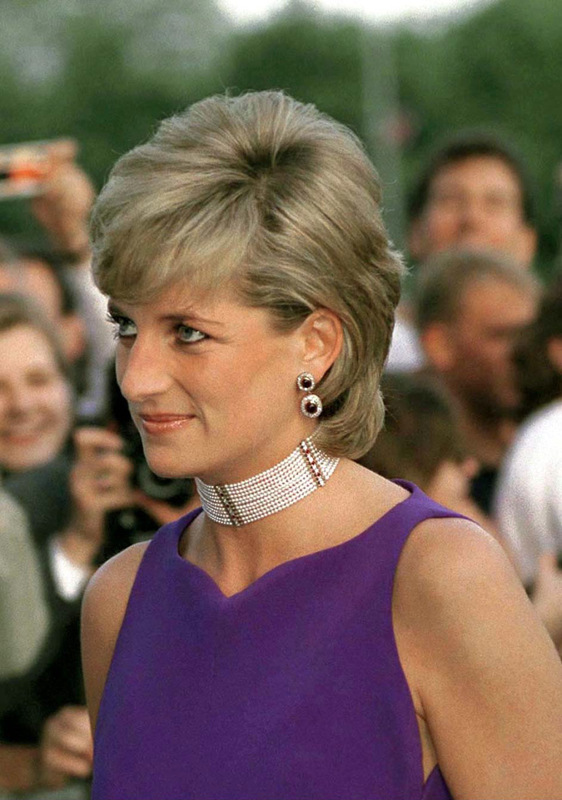 Princess Diana completely changed this by wearing chunkier oversize jewelry, such as this choker. Though some royal women, such as Kate, have shown their knees before, it's really not common in the royal family, as royals are expected to wear modest knee-length skirts. Princess Diana has broken this tradition by wearing knee-baring dresses several times. Image: Georges De Keerle/Getty Images. Queen Elizabeth II is notorious for wearing gloves, especially when she's shaking hands with commoners. Princess Diana went against this tradition by going gloveless and touching the hands of anyone — royal or not. “She abandoned the royal protocol of wearing gloves because she liked to hold hands when visiting people or shake hands and have direct contact,” royal expert Eleri Lynn told People. Though the tradition of hat-wearing has been done away with in recent years, it was still a big tradition when Princess Diana was in Kensington Palace. The fashion rule came about because of an age-old tradition of royal women covering their hair to look more modest, which is why Queen Elizabeth II is often seen with hats. Princess Diana stopped abiding by the rule, however, for practical purposes. “She also stopped wearing hats because she said, ‘You can’t cuddle a child in a hat,'" Lynn told People. Modesty is a big theme in royal traditions, so when Princess Diana wore a shoulder-baring dress, with a high slit to an event at London's Serpentine Gallery in 1994, royal traditionalists definitely took notice. It's tradition for royal women's shoulders to be covered, which is why Meghan got some flak for showing hers in 2018.